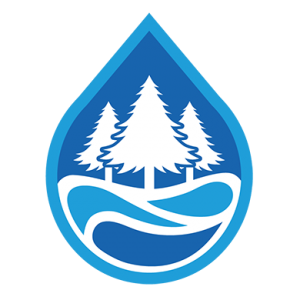 Organization Overview: The Whitworth Water District is a State of Washington Title 57 water district that provides potable water service to domestic and commercial customers in the North Spokane area. Headquartered in Spokane County, the District’s service area extends from the City of Spokane north to the community of Chattaroy. Whitworth Water District has 9,600 active service connections that provide water service to approximately 30,000 customers in a roughly 60 square-mile area. The District operates 300 miles of pipe delivering water from 16 wells, 13 reservoirs, 15 booster stations, and 6 pressures zones. The District is operated by 16 employees and is led by the General Manager and a five-member Board of Commissioners. Whitworth Water District is seeking to fill the position of Water Maintenance II. The Water Maintenance II position will perform duties assigned and possess the ability to develop skills in the tapping of water service lines, installation of water meters, maintenance of water distribution system, meter reading, service, and repair, and construction of a water distribution system. The work is heavy in nature, performed under adverse weather conditions and requires normal mental and visual strain. Establish and maintain excellent public relations with customers and resolve customer problems in a positive manner. Employee is subject to respond to call 24 hours a day, 7 days a week, for emergency water problems as well as to complete essential work at the end of a normal eight hour shift. Employee is also subject to rotational one week periods of after hour call outs. See well enough to read fine print and detect color in order to do detailed work like wiring ARB meter hookups. Able to climb water tanks up to 125 feet high. Manual dexterity to write legibly and perform detailed field tasks. Strength to lift, carry, drag and operate equipment, like a jack hammer, weighing up to 90 pounds. Stamina to work for up to 8 hours a day, 5 days a week, and during emergency operations as deemed necessary. Tolerance to work under adverse conditions like in dust and pollen, outdoors in heat and cold, and in confined, awkward spaces. Complete application packages must be emailed to Tom McInerney at tomm@whitworthwater.com, or mailed to: Whitworth Water District – Attention Human Resources, 17401 N Newport Rd. Mead, WA 99021. All Applicants Must Have Submitted all Documents by Wednesday April 3, 2019 at 4:00 p.m. Position Open Until Filled.